Come fly with us on the only helicopter tour over New Orleans at night! Take in all the city lights and cruise high over the city to take a unique look at the gorgeous city from a one of a kind vantage point. See the Superdome and GNO Bridge light up after sunset and see the French Quarter in a new light. 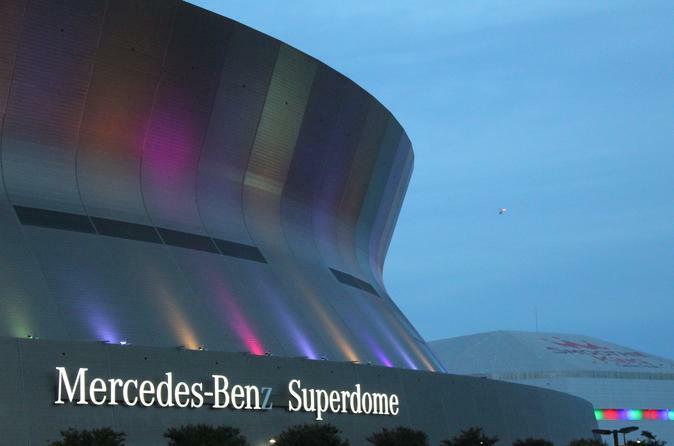 Meet us at the Superdome for some very special photo opportunities.